My wife and I had a weekend getaway in Armenia recently. That was a spontaneous decision, made partially because we don’t need a visa to get to the country (by the way, EU and US nationals do not need a visa to visit Armenia, this applies both for tourism and business trips). However, I couldn’t miss a chance to search for some bookish landmarks. Armenian culture could be traced back to at least a moment 2500 years ago and there was an Armenian state already in the 2nd century BCE. There also is evidence, that people lived in the territory of modern Armenia some 5500 years ago. My current bookbinder’s concern with Armenian history lies somewhere in the late Antiquity and early Medieval times. As it happens, quite a lot in the early Christian culture relied upon a new book format: codex. And Armenia is the first officially Christian country in the world. So, it’s no surprise there is a long-standing tradition of creating manuscripts in the country. Of course, there was something in between 5500 and the moment when Armenia was established as a country. The kingdom of Urartu was its predecessor and there was some influence from Assyrian Empire. There are examples of the Ancient writing remaining in Armenia. You can see some Urartian cuneiform stones in the History Museum of Armenia in Yerevan. However, I’m usually more interested in objects that could be called “books”. Even papyri would do. A cuneiform stone or tablet is already a stretch. The first choice for a book lover is to visit the Matenadaran. Today the Matenadaran is a research institute and a museum (Mesrop Mashtots Institute of Ancient Manuscripts). The term means “repository of manuscripts” and the first archive like that is mentioned in the 5th century CE, in the writings of a contemporary Armenian chronicler and historian Ghazar Parpetsi. 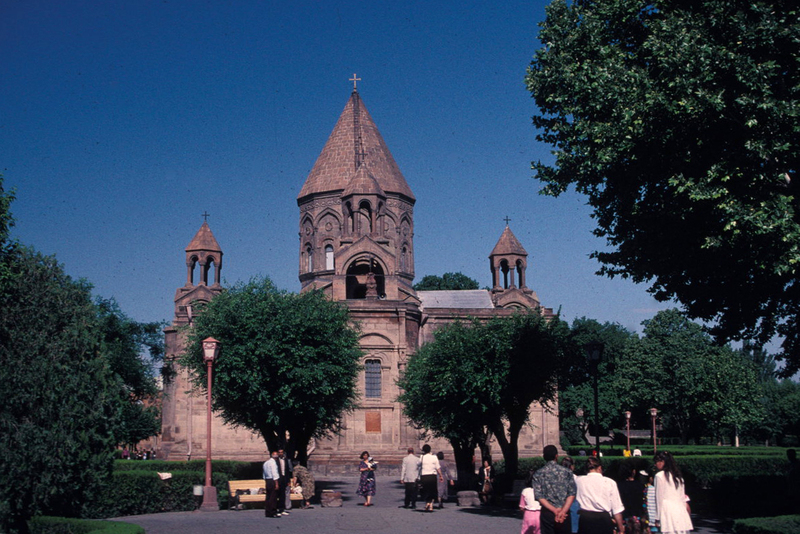 It was located at the Etchmiadzin Cathedral. The first church was built in 301 CE there, and the current building has survived both the Armenian Genocide and Soviet aggressive atheism. By the way, the first Armenian printing house was founded in 1771 also in Etchmiadzin. It still operates almost at the same place as more than two centuries ago. Unfortunately, I had no luck visiting the Matenadaran during my stay in Armenia. We were in the country during the long weekend of the Victory Day (7th-9th of May), and the museum is closed on Saturdays, Sundays and state holidays. To end with upsetting things, you should keep in mind, that museum authorities in Armenia don’t like their exhibits to be photographed. There are nearly 17 000 manuscripts in the collection today. The oldest Armenian parchment manuscript (Vehamayr Gospel) and the oldest Armenian paper manuscript (Matenadaran, Ms no. 2679) are held here. Along with many other important codices, incunables and other paper objects and documents. This is the largest collection of Armenian manuscripts in the world. Along with Armenian books and documents, the Matenadaran holds a vast collection of documents and manuscripts in the languages of the region, like Arabic, Persian, Hebrew, and Russian. 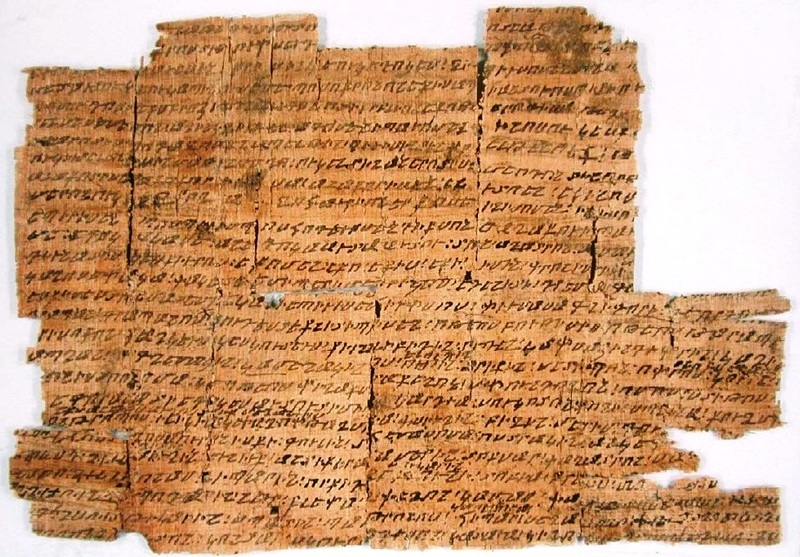 There are texts of the Ancient and Medieval scholars, translations to the Armenian language of the works of scientists who wrote in Greek, Syrian, Arabic and Latin. Including some works not surviving in the original language. Another important national heritage, Armenian illuminated manuscripts and miniatures, is also well represented in the museum. The Mashtots Matenadaran Ancient Manuscripts Collection was inscribed on UNESCO’s Memory of the World Programme Register in 1997 in recognition of its world significance. If you want to get the best bookish experience in Armenia, you have to visit the Matenadaran. You can find some old books in the History Museum of Armenia. However, there are not many books exhibited here. Just some 16th-18th century volumes. If you are a fan of history, ticket prices are quite low, and you will find the 5500-year-old leather shoe, along with some wonderful ancient figurines, full-sized 15th-14th century BCE carts and chariots, and other things there. You have to become a member, but the registration is free. You’ll have to show your passport and provide two 3×4 cm photos . Among the other objects, NLA collection includes Urbatagirk, an Armenian book printed in Venice in 1512; a map, printed in Amsterdam in 1695; and a newspaper Azdarar, printed in Madras in 1794. Armenian alphabet was created by an Armenian scholar Mesrop Mashtots in 405-406 CE. Just a century after the country adopted Christianity. While it has some similarities with Greek and other alphabets of the region, it would look peculiar to familiar with Latin or Cyrillic alphabets. At the same moment it was created with deep understanding of local phonetics of a score of Armenian dialects and is being used for more than 16 centuries with almost no changes. There are three monuments to the Armenian alphabet located near the final resting place of Mesrop Mashtots in Oshakan, a village located some 25-30 kilometers to north-east of Yerevan. Outside the Saint Mesrop Mashtots Cathedral there is a set of traditional Armenian khachkars carved to resemble letters of the alphabet. You can find all letters at the Wikimedia Commons. 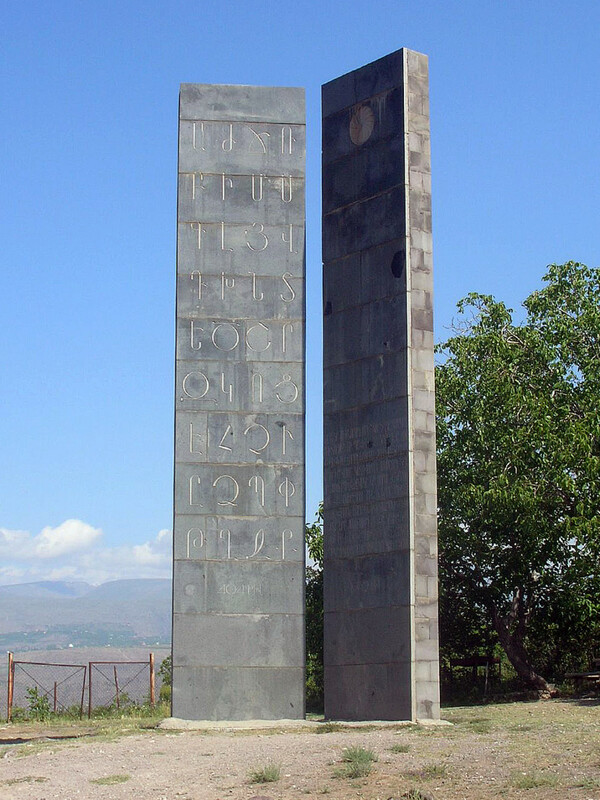 Outside the village you will find a Soviet-era memorial dedicated to the Armenian alphabet. The third monument is a set of giant letters near the village of Artashavan. Built against the backdrop of Armenia’s Mt. Aragats it looks pretty spectacular if you choose the time of your visit right. and San Lazzaro degli Armeni monastery on a small island in the Venetian Lagoon with its 3000 Armenian manuscripts (read more about bookish places of Venice). The first Armenian printed book was also published in Venice by Hakob Meghapart in 1512. We’ve found some book history even in the Armenian Genocide Museum. However, it definitely wasn’t our purpose for going there.